Today I'd like to welcome Paulette Harper, a Christian author who has written mainly non-fiction but has two fiction books in the works. Paulette, would you like to introduce yourself to readers? Note: I, Rachelle Ayala, welcome bloggers to copy and paste any of my interviews, book promos, reviews, and publicity material as posted on this blog. You're welcome to tell the world about me and my books and the authors I promote and support. Kindly backlink to my original post. That's all you have to do. 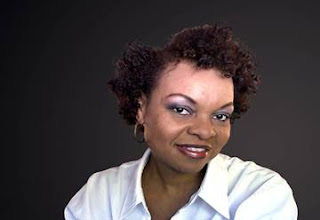 Paulette Harper Johnson, an award winning author, writing coach, and speaker, seeks to inspire women from all walks of life. As an inspirational and motivational speaker, Paulette’s desire is to empower, influence and cultivate women to move forward while dealing with issues that hinder women from becoming all they are created to be. Her topics are biblically sound and pertinent to the needs of today’s women.